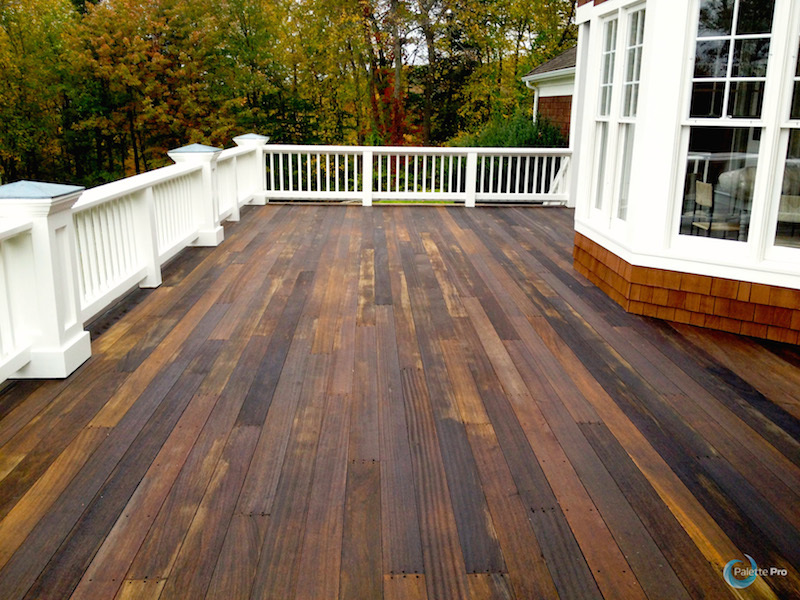 Deck refinishing & staining protects your deck from daily wear and tear and from the weather. 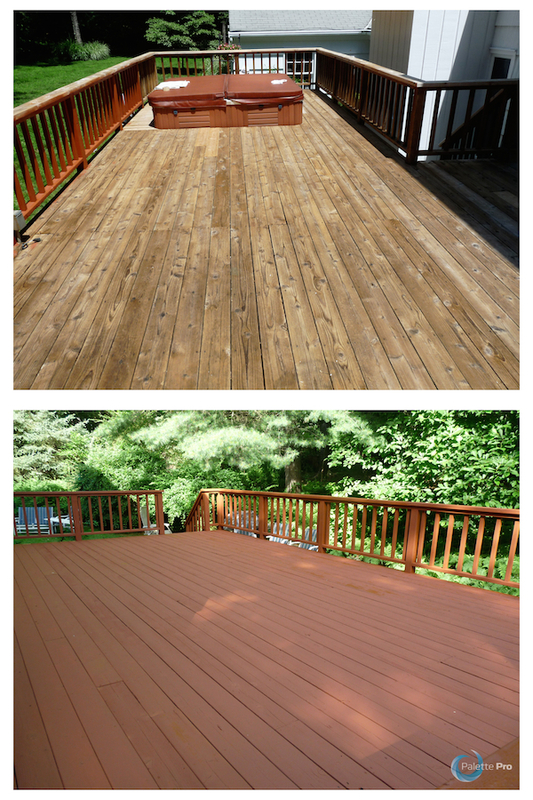 It will also help your deck look clean and new. 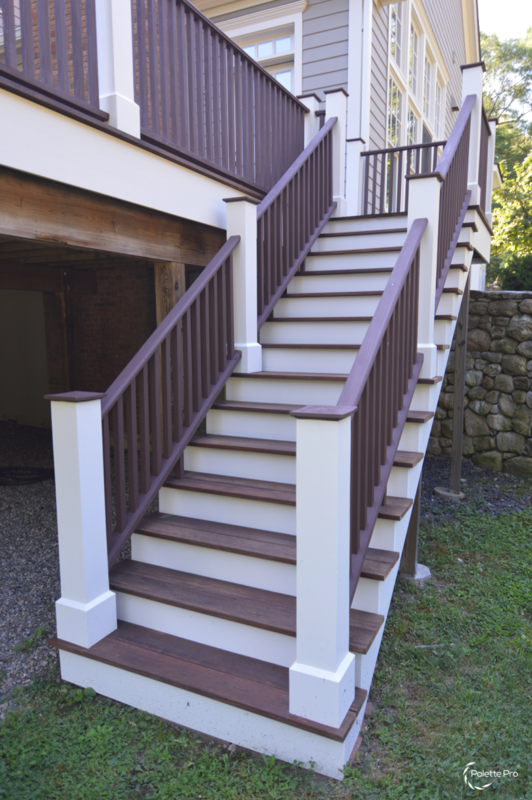 At Palette Pro Painting & Renovation, we understand how important keeping your home in great condition is to you. 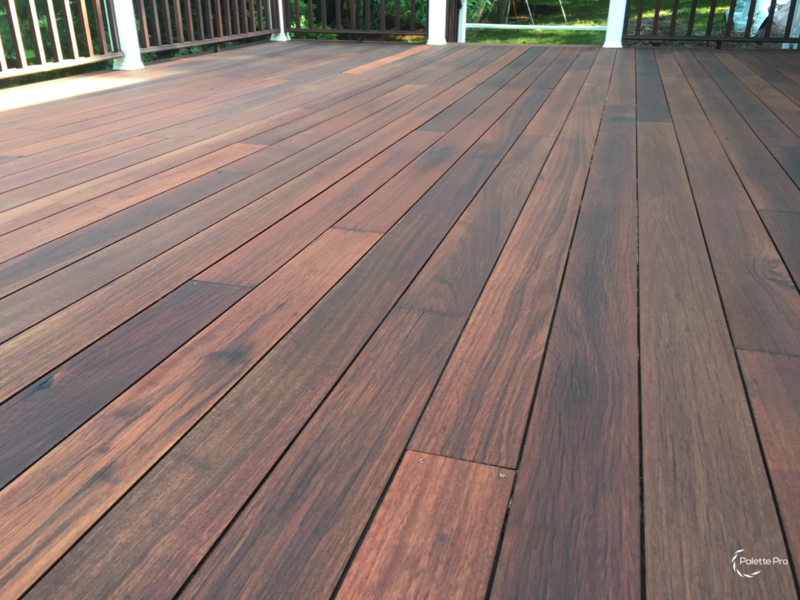 Choosing the right deck repair and staining company could make the difference between a beautifully stained deck and an expensive and frustrating headache. 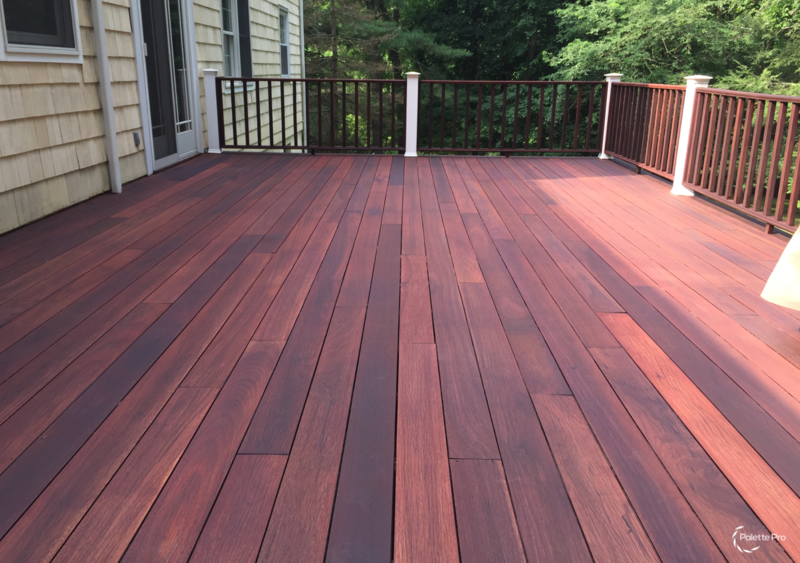 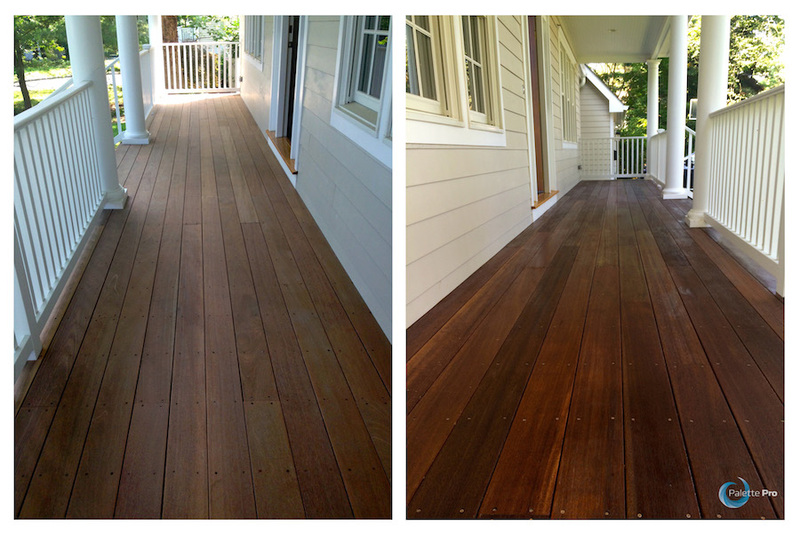 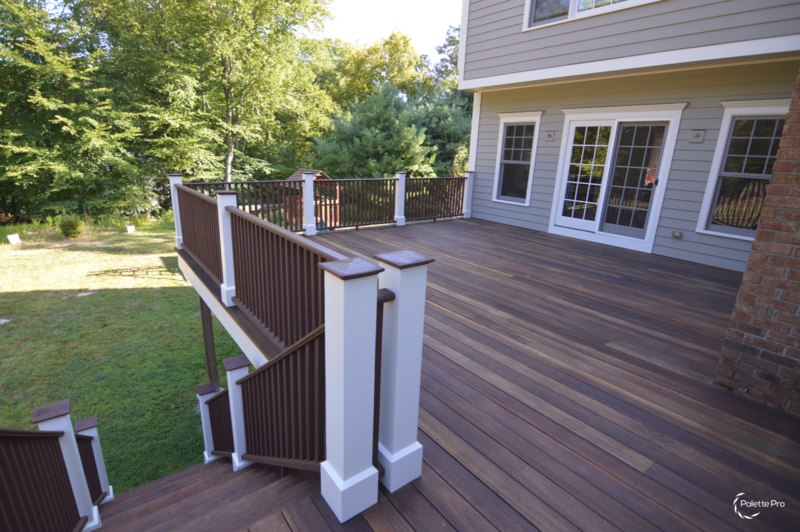 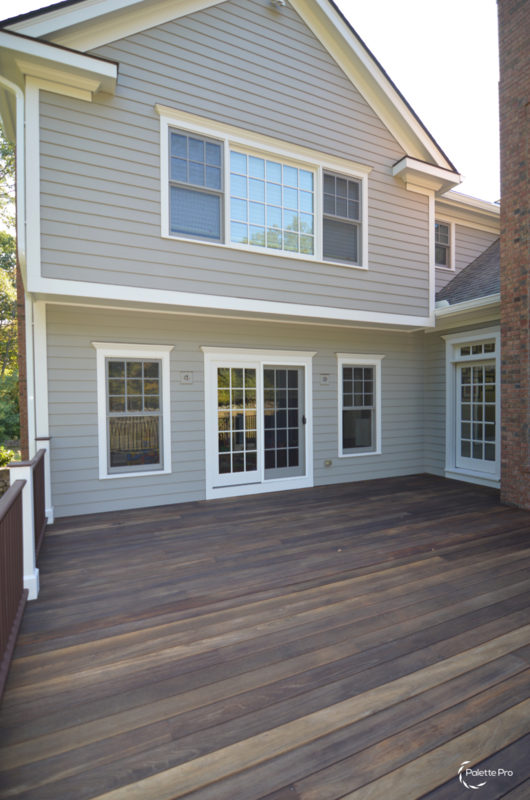 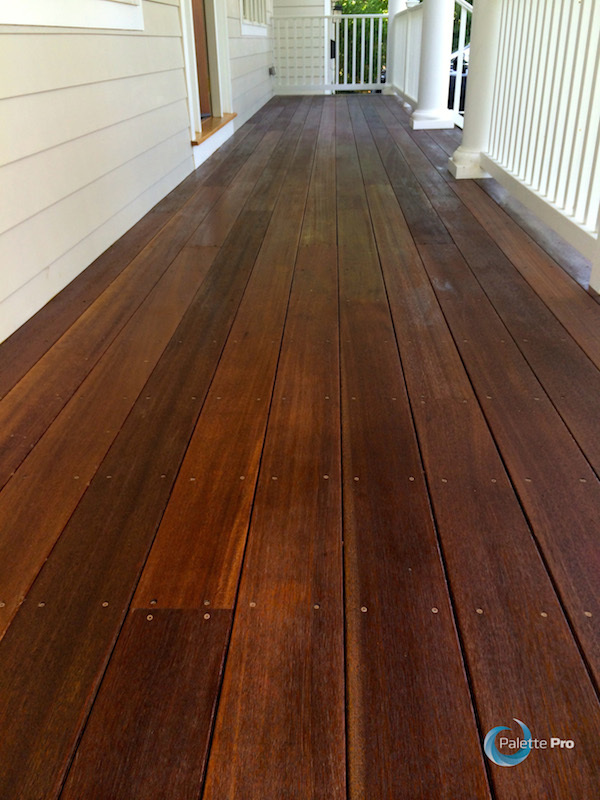 Having an attractive deck takes more than tossing on a new layer of stain or lacquer. 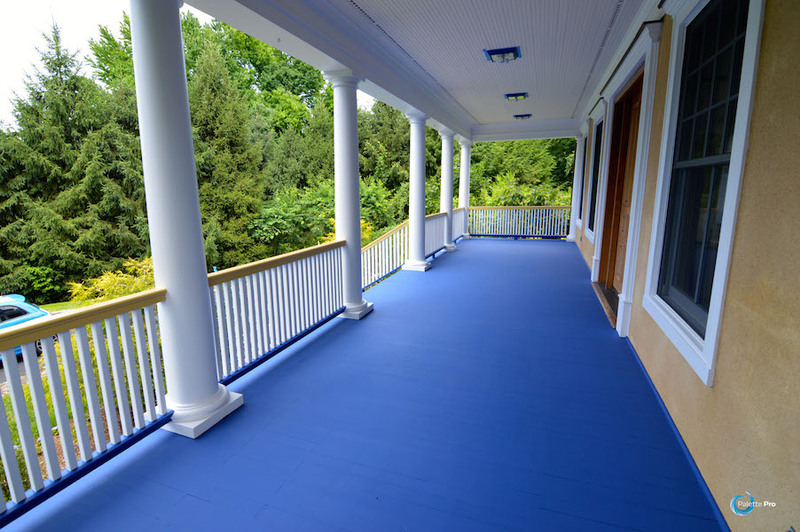 Proper surface preparation and careful application to effectively seal it from moisture and the harmful effects of the sun will keep it looking good for years. 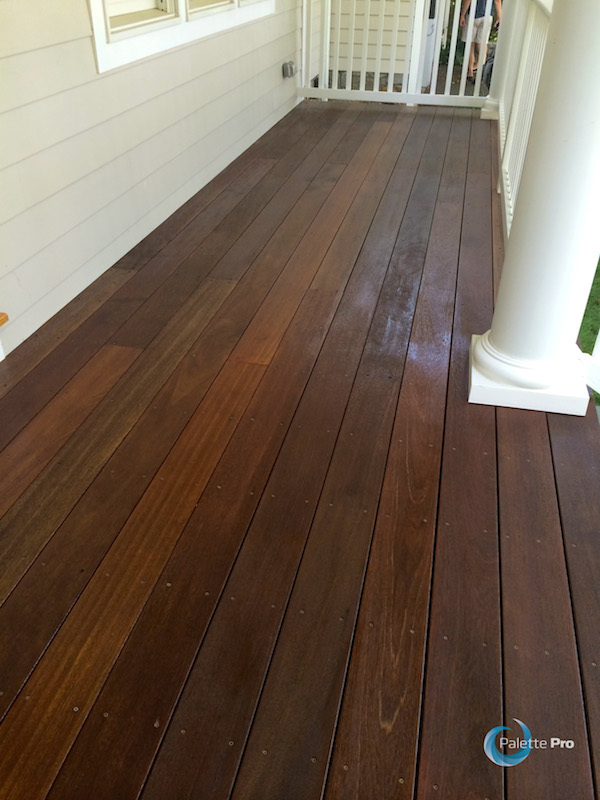 Our premium deck refinishing and staining service uses the best products on the market. 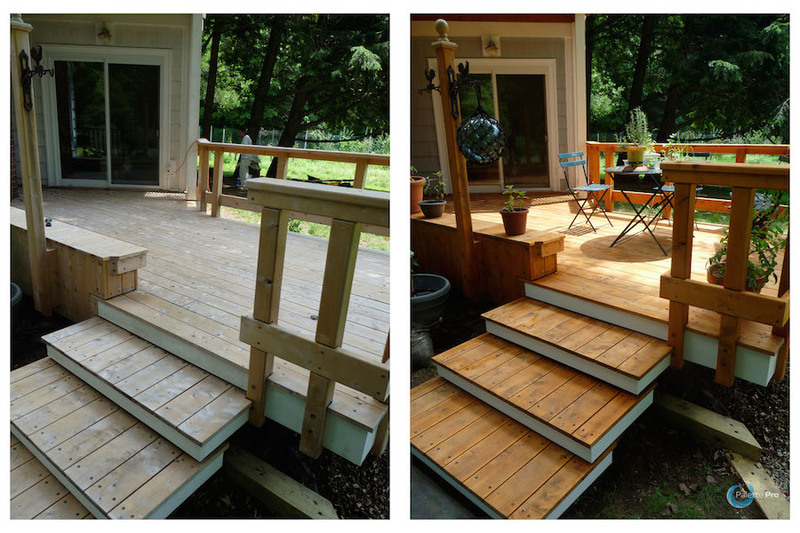 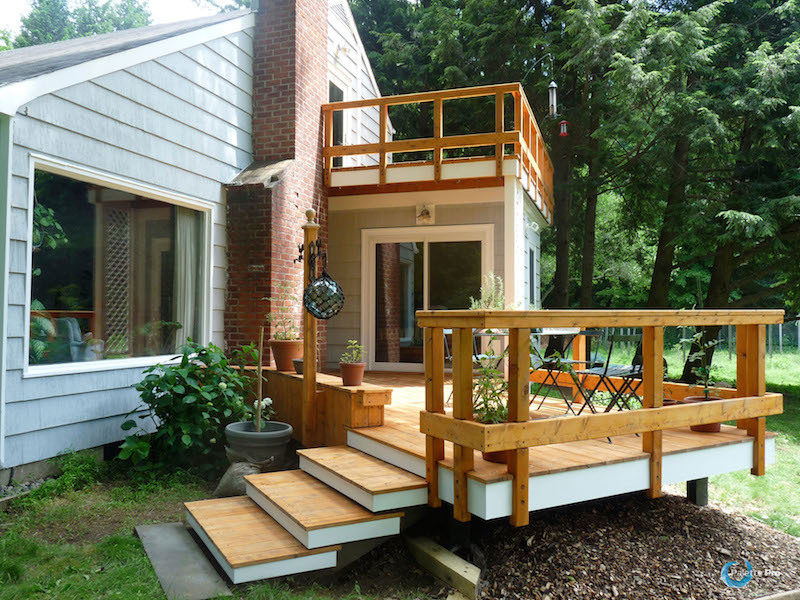 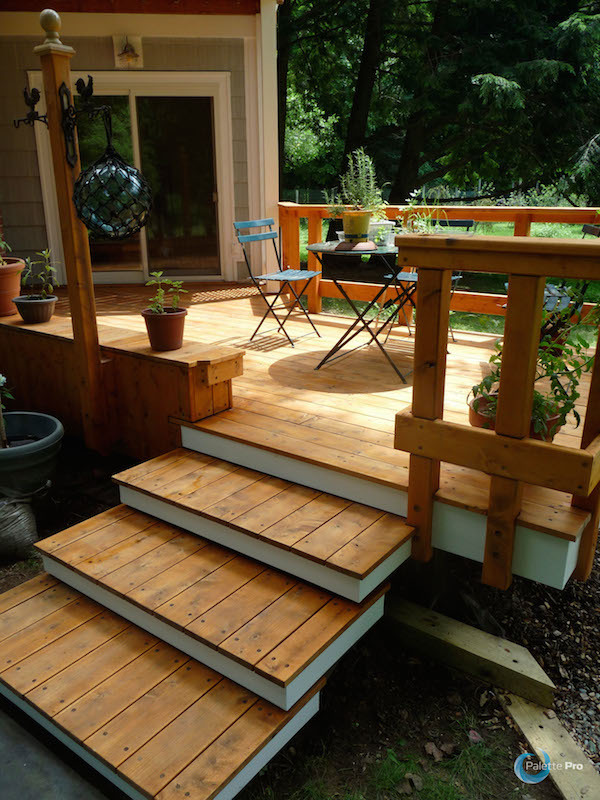 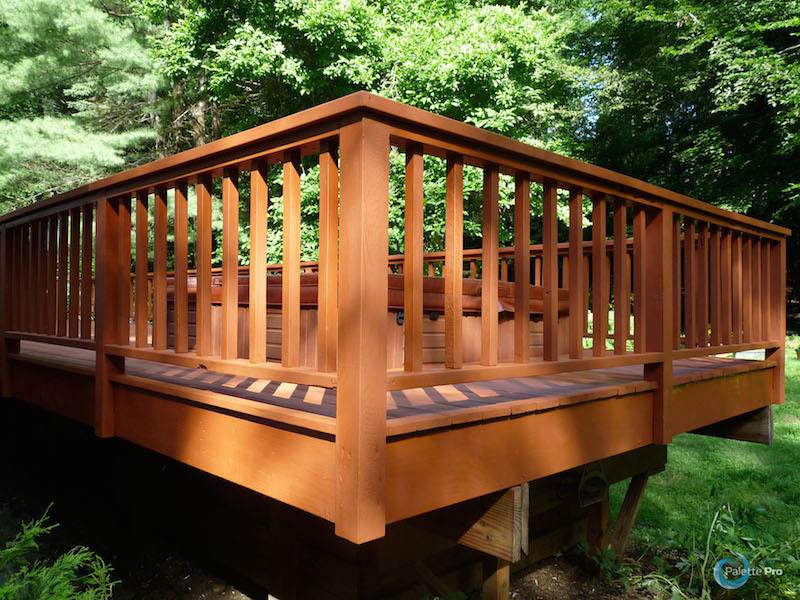 If necessary our professional carpenters can make any deck repairs. 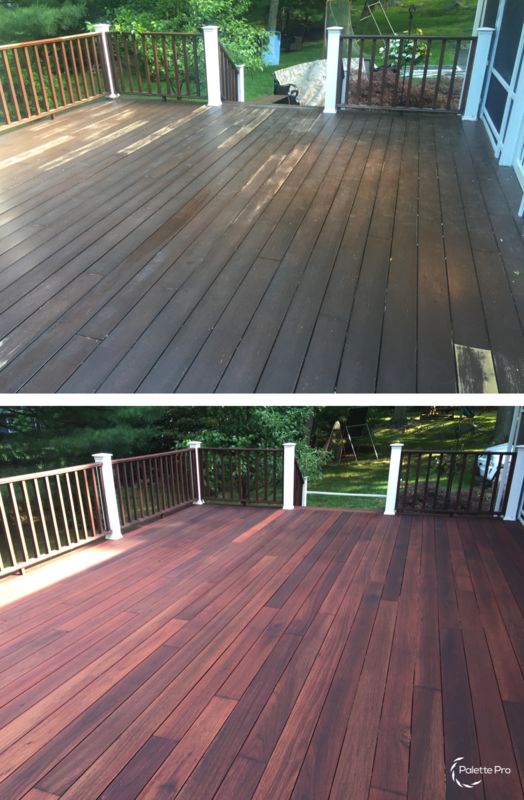 When you choose us for all of your deck staining and refinishing needs, you can expect high quality stains, professional and experienced painters, and the most modern and widely-accepted application techniques. 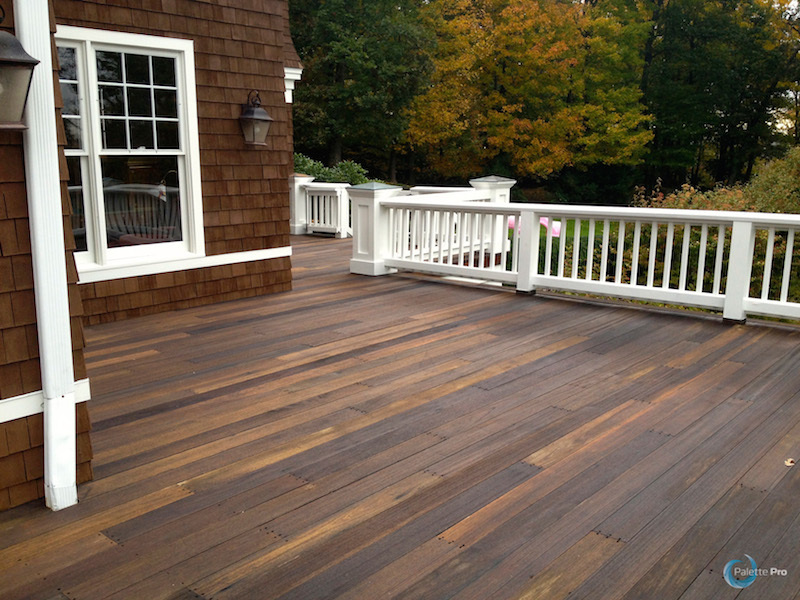 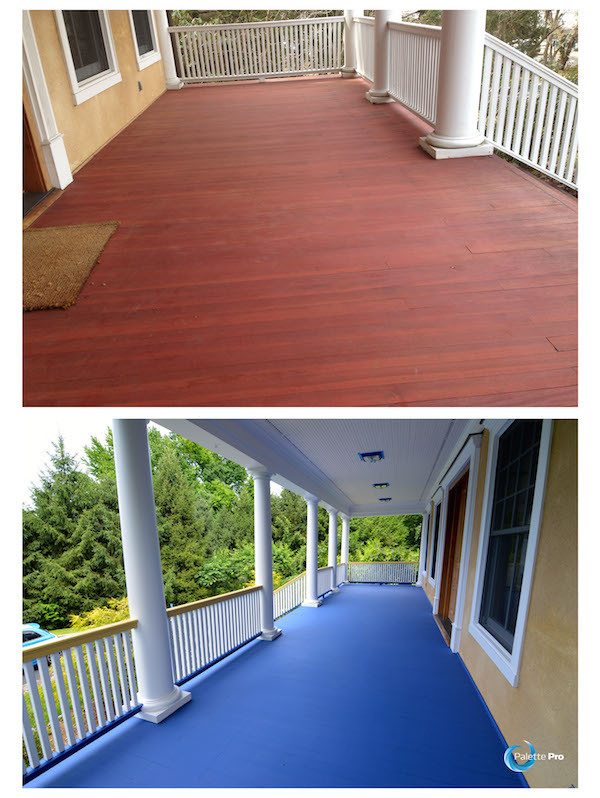 Browse our gallery of past deck refinishing & staining projects. 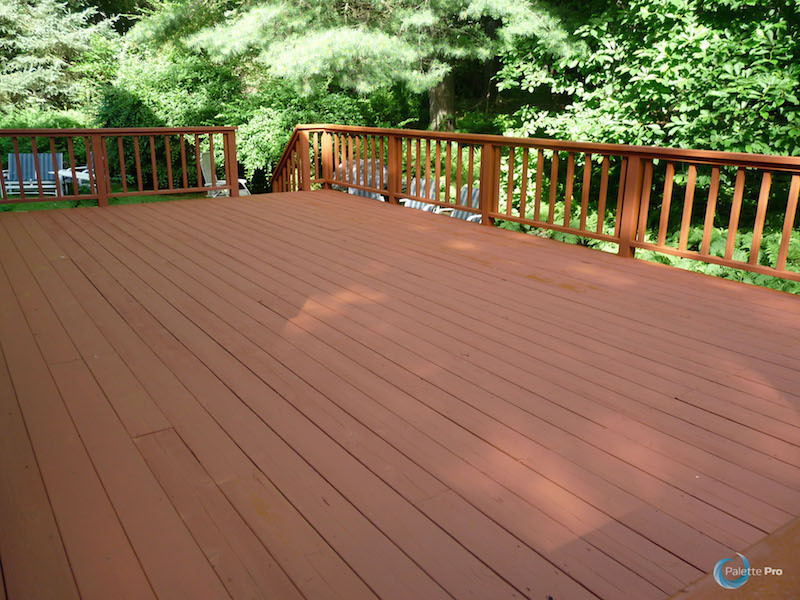 If you are ready to work with a professional painter who knows how to rejuvenate and restore your deck, please contact or call us today at 1-800-687-9470 for your free, no obligation appointment.